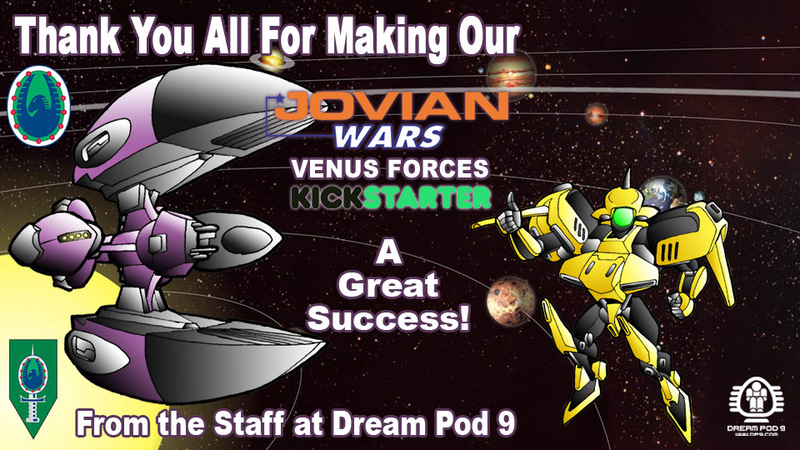 Thank You All - Venus Forces Kickstarter a Great Success! You can still visit the campaign page at the following link. DP9's Extra Funding Campaign for our Peace River & NuCoal Core Plastic Miniatures is now live on the DP9 Pledge Manager website. Our Kickstarter raised over $40K CAD, unlocking our initial funding goal and numerous stretch goals, but not the $50K CAD goal we really wanted to reach. Hence our Extra Funding Campaign, please support Dream Pod 9 as an Outside Backer and pickup a new plastic miniatures army for Peace River, NuCoal, and/or Utopia at $70 CAD each, or one of our other great Backer reward level deals and maybe a few Add-Ons as well. Login and create your pledge manager account, select your reward level and any add-ons and then checkout paying your pledge and fixed shipping cost. Backer reward packages are expected to start shipping in Summer 2019. 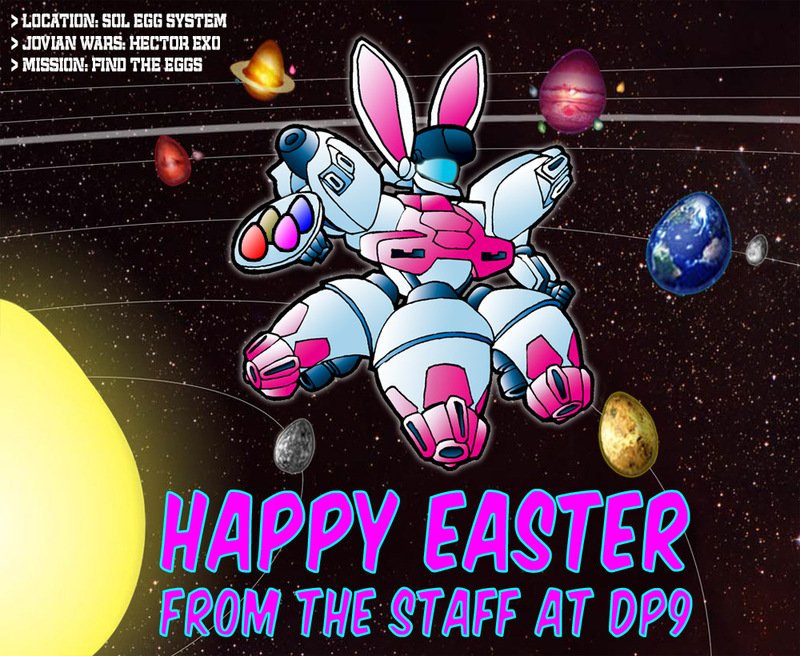 Happy Easter from the Staff at Dream Pod 9! Its the Easter Weekend again already, we hope you all have great time and the Easter Bunny brings you lots of chocolates. I had some fun today playing around with Photoshop and made an Easter Egg Hunt image for everyone to enjoy. Peace River & NuCoal Kickstarter Plastic Injection Molds Assembled & Ready for Testing! Another small update today with photos we received this week of the assembled Peace River and NuCoal plastic injection molds, check them out below. Now its on to doing test pops of the plastic robot sprues and then tweaking the molds to get the sprues coming out looking great. We'll have more updates with photos as as testing work progresses. Read more about Peace River & NuCoal Kickstarter Plastic Injection Molds Assembled & Ready for Testing! JW Venus Kickstarter Update: Jovian Wars Miniatures Assembly Guide Updated with Venus - Now Available! We just uploaded an updated Jovian Wars Miniatures Assembly Guide with the new Venus faction forces added to it. So our Venus Kickstarter Backers who have started receiving their reward packages have reference photos for all the assembled Jovian Wars spaceships. Its available now for free download on the Drive Thru RPG website at the following link. Read more about JW Venus Kickstarter Update: Jovian Wars Miniatures Assembly Guide Updated with Venus - Now Available! Utopia Kickstarter Update: Mold 3 Utopia Support Armiger & Commado Drones Plates CNC Rought Out Before EDM Photo! Just a small Utopia Kickstarter update today with photos of the Mold 3 Utopia Support Armiger and Commando Drones insert plates, which the mold manufacturer emailed us over the weekend. The plates have been CNC roughed out, but still need to have the EDM process done, which burns in the fine details into the steel. We'll post more updates as work progresses on the Utopia models mold. Read more about Utopia Kickstarter Update: Mold 3 Utopia Support Armiger & Commado Drones Plates CNC Rought Out Before EDM Photo! Peace River Argos and Mustang Painted Minis Preview! We had Phil paint up the Argos and Mustang miniatures in the Peace River red and grey color scheme. You can checkout the photos of his great work below, taken from different angles, enjoy! No major Feedback Friday post this week, just two weapon trait changes and weapon tweaks that the Rooster has proposed. The first is to give the Rifles a better feel in game play, the Precise trait has been changed. Instead of it negating an opposing models Agility trait, it now does the following. Read more about Peace River Argos and Mustang Painted Minis Preview! Utopia Kickstarter Update: Commando Armiger, Recce & Support Drones Mold Insert Plates 3d Models Preview! Read more about Utopia Kickstarter Update: Commando Armiger, Recce & Support Drones Mold Insert Plates 3d Models Preview! Feedback Friday March 29th 2019 - HGB Rules 3.0 ALPHA v1.5 Update! Read more about Feedback Friday March 29th 2019 - HGB Rules 3.0 ALPHA v1.5 Update! Feedback Friday March 22nd 2019 - HGB Rules 3.0 ALPHA v1.4 Update! Welcome back to another Feedback Friday. This week we tweaked a few weapons, gave engineering gears the ability to reload limited ammo weapons, and clarified some game terms. Plus updated the common action, reaction and free action tables, started work on a new chapter for new players learning the game, and lot more. You can checkout the full "HGB Rules 3.0 ALPHA v1.4 Update" post with links to download the updated Alpha Rules word file and other excel files on the DP9 Forum at the link below, login and join the discussion. Read more about Feedback Friday March 22nd 2019 - HGB Rules 3.0 ALPHA v1.4 Update! 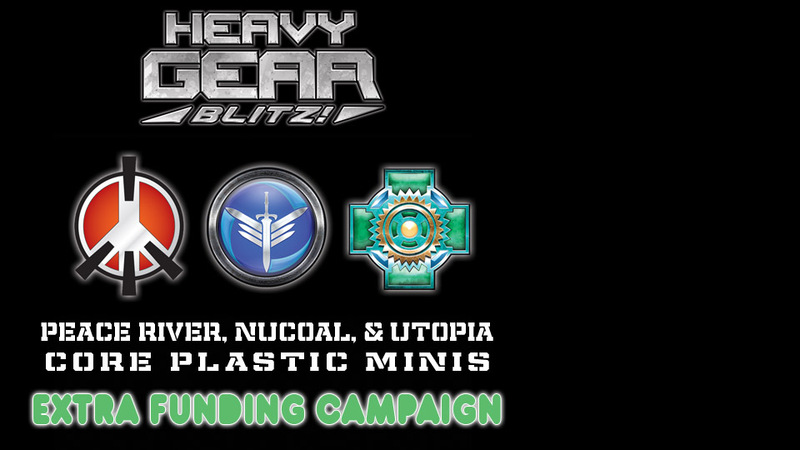 Click here for news on the new edition of Heavy Gear Blitz which is currently under development. With Alpha/Beta playtest downloads of the new rules and armylists. Get involved in the playtesting and help us make the new edition the best miniature game out there! First Venus Kickstarter Backer Reward Packages Shipped this Week! Feedback Friday April 5th 2019 - HGB Rules 3.0 ALPHA v1.6 Update! Peace River & NuCoal Kickstarter Update: Mold Parts, Housing Preparation & EDM Parts - Plus Painted Jackal, Spartan & Mameluk Minis!